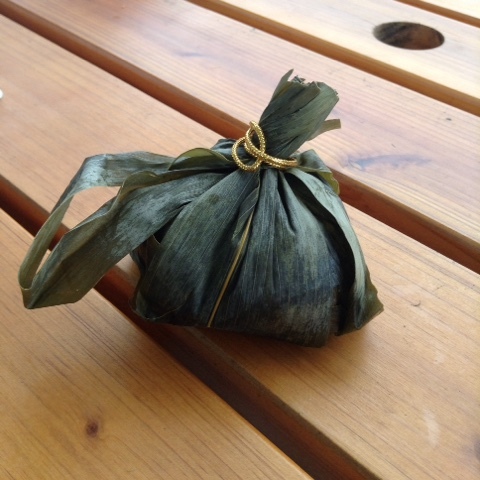 This was a delicious parcel we ate while riding bikes around the rice fields of Yuli. 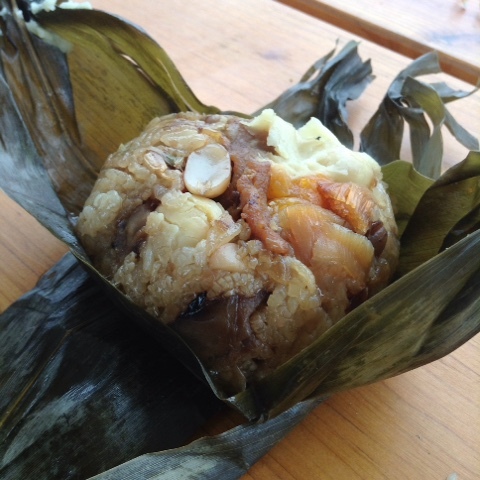 Sticky rice with peanut, crab, shiitake, egg and pork all steamed within a couple of bamboo leaves which lend a delicate fragrance to the ingredients. A power bar par exellence.